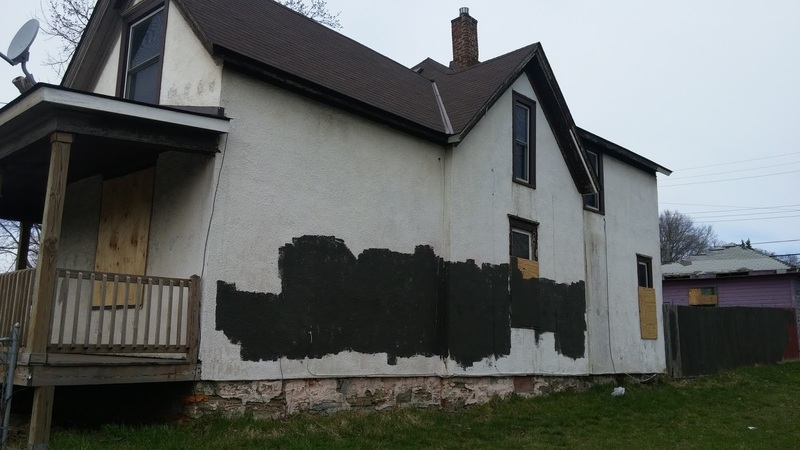 A house on Broadway and Ilion that may be torn down as development comes along. 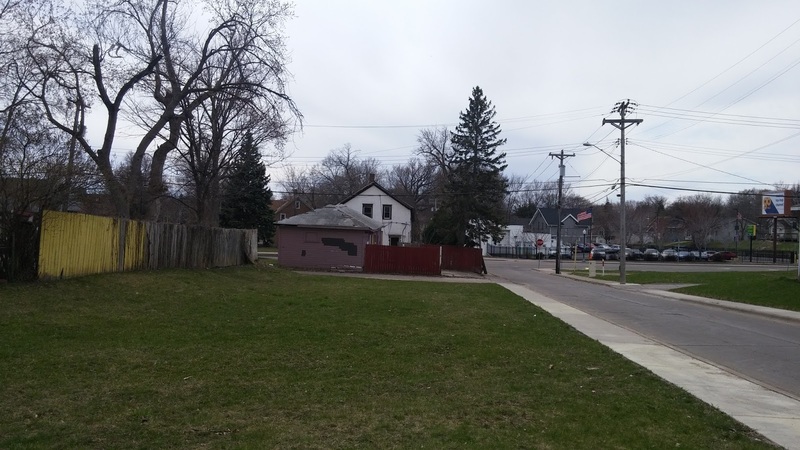 And the vacant lot immediately across the alley from this house, which is not part of the proposed development. Four and a half years ago, I was at a Hawthorne environment committee meeting, and the icebreaker was to say our name and the "greenest" thing we did that day. "I picked up trash around Farview Park," or "I recycled a pop bottle" were common introductions. When it was my turn, I said, "My name is Jeff, and today I had an offer accepted to purchase and rehab a home that would have otherwise been demolished." I think I won that round. 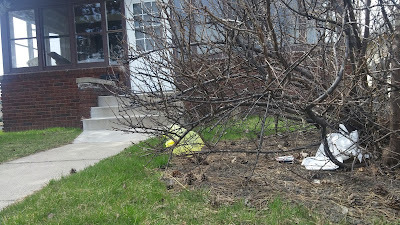 On April 1st, the Minneapolis City Council wasn't playing a joke when they adopted a ban on plastic bags that are ubiquitous at most retailers. They received a fair amount of criticism for taking up the issue in the immediate aftermath of the decision not to prosecute the officers involved in the shooting of Jamar Clark. Personally, I found the timing to be a bit tone-deaf, but I don't mind an elected body that can focus on more than one hot-button issue at a time. But if they ban plastic bags, how will I be able to use plastic bags to pick up the plastic bags that accumulate in my yar--ohhhh.